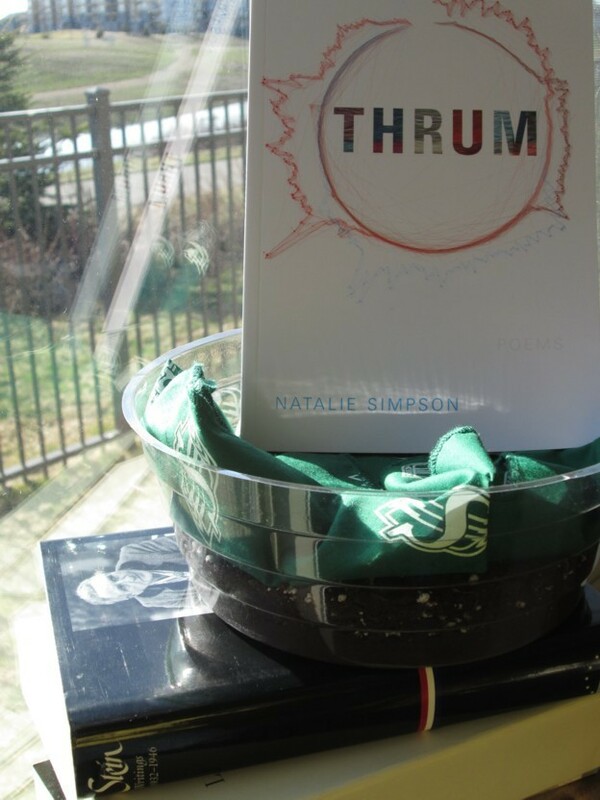 A Gertrude Stein renaissance is afoot. 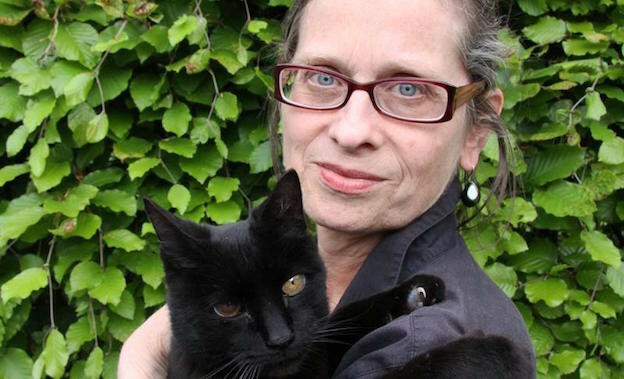 It is difficult not to think how celebrated Stein is, to paraphrase her Stanzas in Meditation.During the past two years, she made a cameo (played by Kathy Bates) in Woody Allen’s Midnight in Paris, and several exhibitions of her art collection circulated at major museums. 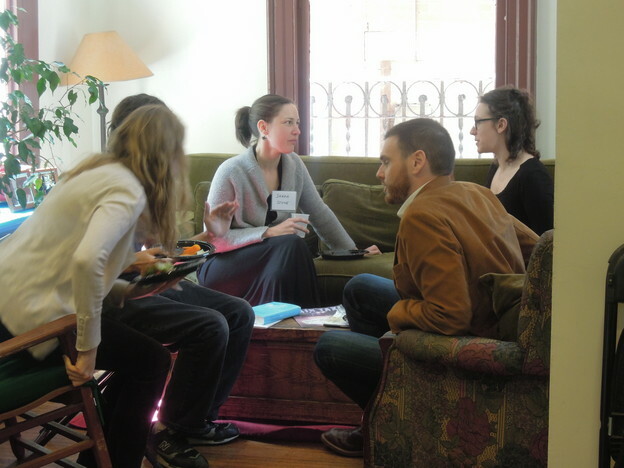 Sarah Stone (center) at Kelly Writers House, April 2013. 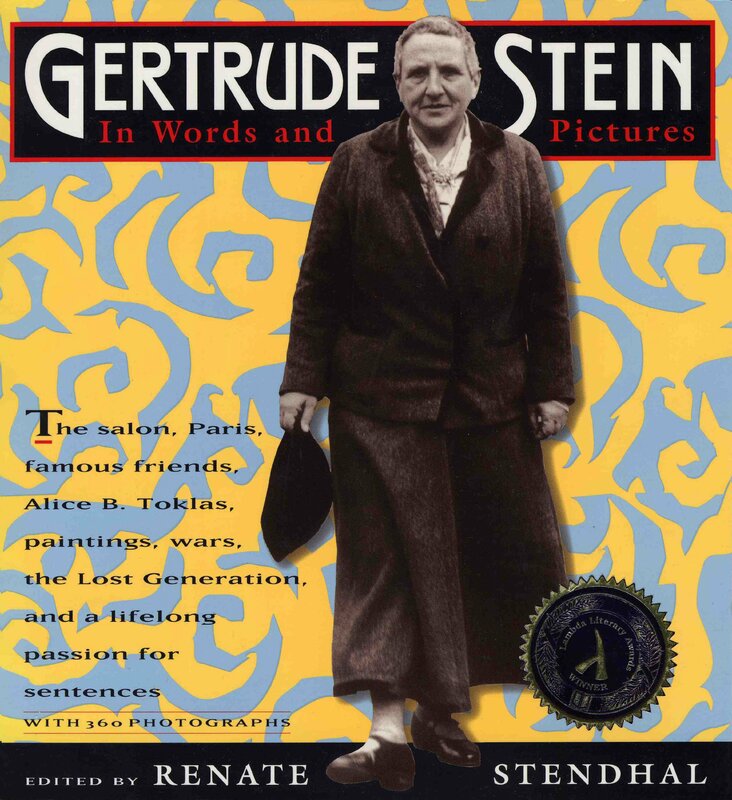 In 1916, seven years after her first book publication, forty-two-year-old Gertrude Stein fantasized about ways to see more of her work into print. 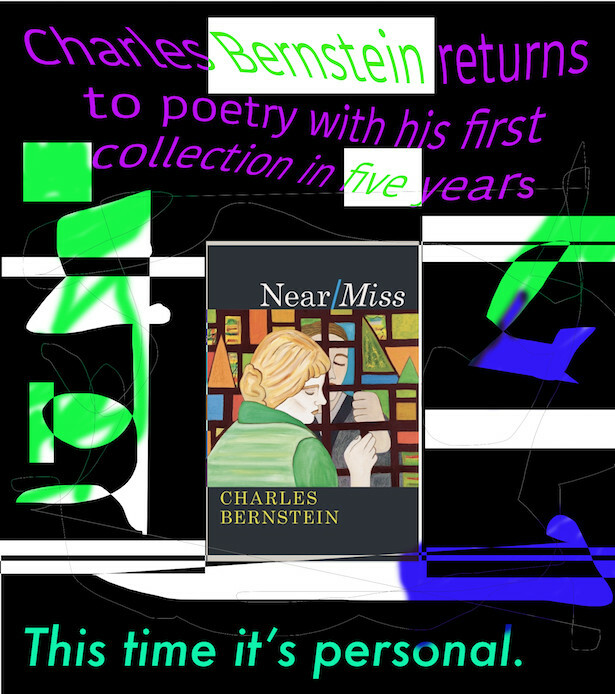 She exclaimed in a letter to Carl Van Vechten, “where oh where is the man to publish me in series. 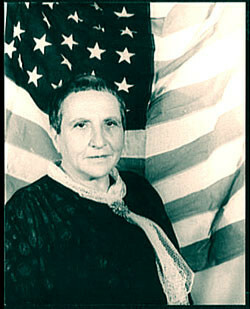 […] He can do me as cheaply and as simply as he likes but I would so like to be done.” Fantasies of “being done” aside, it is in fact Stein’s persistent self-assertion that secured what limited publishing opportunities she had before the popular success of The Autobiography of Alice B. Toklas (1933). The first book Stein saw into print, Three Lives, appeared at her own expense through the vanity publisher Grafton Press in 1909. From then until Brewsie and Willie, the last titlereleased before Stein’s death in 1946, she created, alongside a remarkable body of literature, a record of how she saw her writing into public circulation. 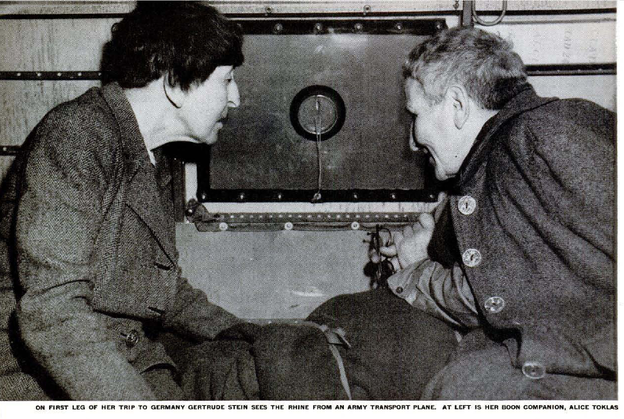 Her three-year career as copublisher of the Plain Edition (with her partner Alice B. Toklas) occasioned drafts and correspondence that show Stein engaging with the book as a material object. 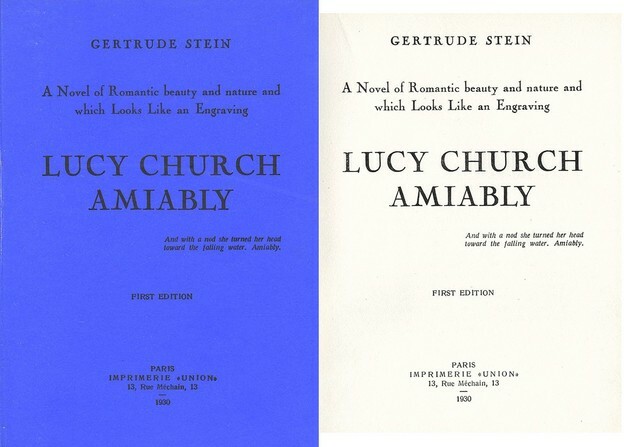 While her writing is now recognized as among the most innovative in the twentieth century, Stein’s paraliterary work in book design and publishing has gone largely unexamined. 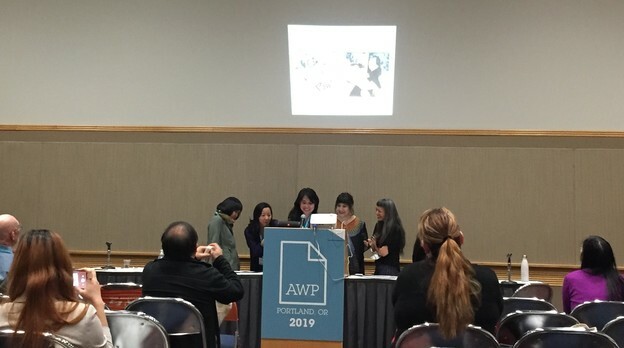 In “Composition as Explanation” Gertrude Stein writes: “The only thing that is different from one time to another is what is seen and what is seen depends upon how everybody is doing everything.” . Fascinating indeed. My own guess — (I guess we’re all guessing) — is that Gertrude, a political naïf capable of only rough calculation re: nuance in current (’39, ’40, ’41 etc) winds of doctrine, and with very genuine affection for Fay — a very affable gentleman indeed, (if you remember our brief meeting with him in Paris), and his returned affection for her, his persuasion to do a friend a favor and say nice things — stretching conscience no more than her willingness would permit — to help his dear friend by translating speeches that might show him in his best light for Americans (faced with defeat and Nazi military invasion, Petain was, after all, saying nice things to shore up his nation’s continuing pride in itself even in a time of terrible adversity), and not until the reality of the Occupation, the deportations, the clouds of war, and its meaning for her, given her lifelong American at-one-ness did she lose enthusiasm and feel distaste for the task and took occasion to let the obligation sort of fade away. Jared Nielsen has created a series of videos in which he rewrites modernist poems as Python programming language scripts. 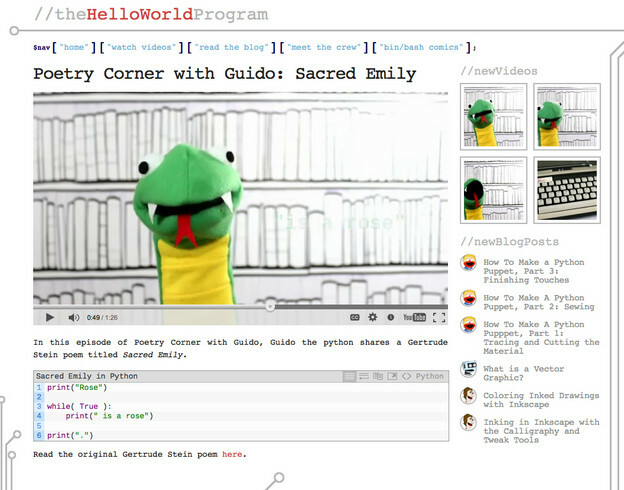 His character — intended to engage children in this experimental poetry-programming — is Guido the Python. Click here for a link to the site and access to the video of the Stein piece. Wanda Corn and Tirza True Latimer's Seeing Gertrude Stein: Five Stories (the catalog and exhibition) makes a compelling case for Stein as the genius (or possibly genie) behind the many portraits of her, which Corn sees as a striking act of self-fashioning – creating a remarkably legible body of work, popular and iconic, to accompany her allegedly illegible writing. Before hearing Corn's lecture in Paris last year, as part of the Stein Collects show, I hadn't thought of the portraits as a discrete body of work. 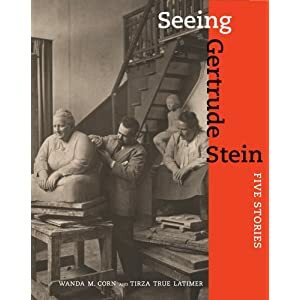 But now I am convinced that Stein recognized the significance of the photographs, paintings, and sculptures for putting into views a set of identities that are as much a part of her work as The Making of Americans. With that in mind, Corn was able to identify distinct sets of images and it is apparent that Stein recomposed her image over her lifetime. There has been a fair amount written about Stein as celebrity. 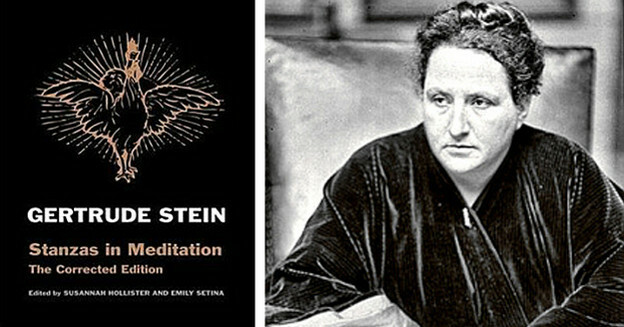 What interests me here, though, is something slightly different: Stein as image fabricator, who used the portrait as a way of supplementing her writing (in a similar way to how The Autobiography works in tandem with its looking glass other, "Stanzas in Meditation"). Stein was acutely engaged with verbal portraiture, from her early word portraits on (and in the Making of Americans as well). These images, created for widely different purposes by many different artists and journalists, became, for Stein, portraits by other means. The Stein portraits collection by Renate Stendhal is the pioneering work on this subject. 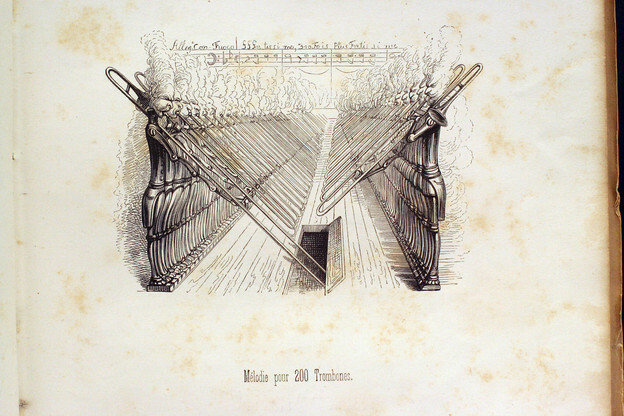 It has many more photos than are presented here or are otherwise on-line and which established the significance of this body of work.